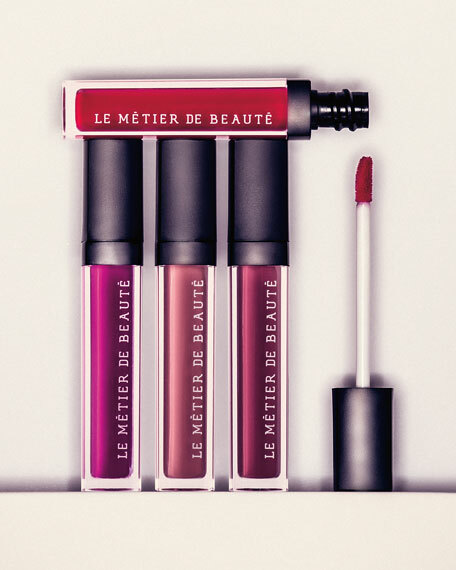 Le Métier de Beauté brings its advanced skincare technology to these #onlyatNM Moisture Matte Lip Crèmes. Vitamin E hydrates and soothes the delicate skin of the lips, while pigment particles wrapped in an innovative coating provide smooth, long-lasting coverage. 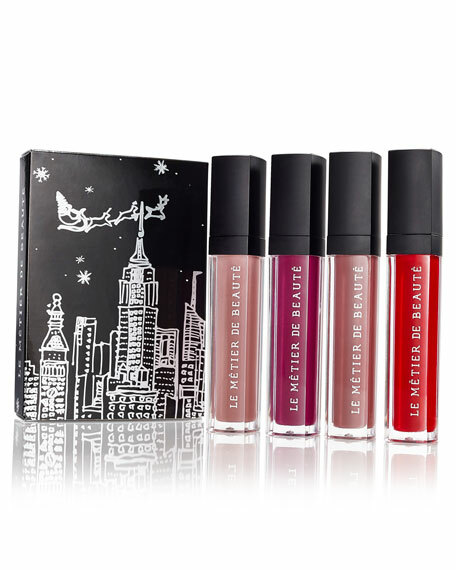 Swipe directly onto the lips, or mix colors on the back of your hand and apply with a fine brush to create a personalized shade. For in-store inquiries, use sku #1962583.